A combined heart-lung transplant may be recommended for patients who have both cardiac and lung disease. 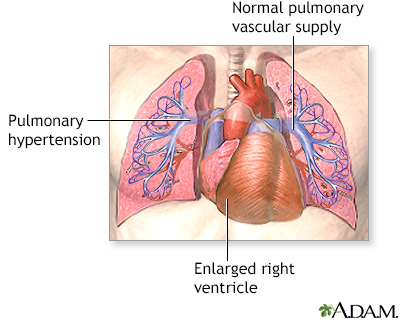 The most common reasons for a combined heart-lung transplant are pulmonary hypertension, cystic fibrosis, lung disease associated with damage to the right ventricle of the heart, and various congenital defects of the heart and lungs. 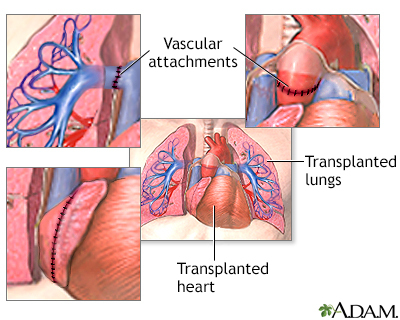 Heart-lung transplant operations have been performed since 1980 in the United States. The donated heart and lungs come from a human who has been declared brain-dead but remains on a life-support machine. A single recipient may receive one or both donor lungs. The tissues must be a match to help ensure that the patient does not reject the transplanted tissue. While the patient is deep asleep and pain-free (general anesthesia), an incision is made through the breast bone (sternum). 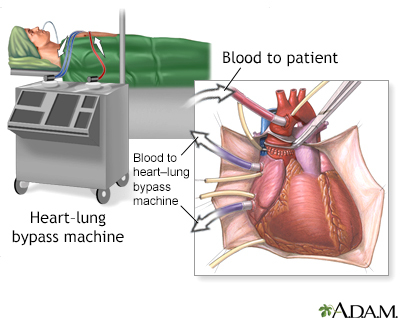 Tubes are used to re-route the blood to a heart-lung bypass machine that keeps the blood oxygenated and circulating during the surgery. The patient's heart and lungs are removed and the donor heart and lungs are stitched into place. 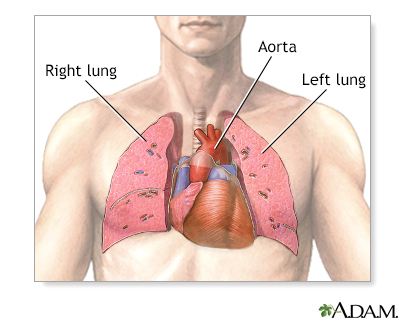 A heart-lung transplant is performed only in patients who have a very good chance of success. The long-term outcome is variable, depending on the patient's overall health and disease progression. Most patients should expect to stay in the hospital for an extended period of time. It generally takes about six months to fully recover from this surgery. To prevent rejection of the donor organs, the patient will likely take immunosuppressive medication for the rest of his life.